Trade unions around the world are facing severe attacks from employers on the right to strike. In the ILO, employers challenged the findings of the CEACR (Committee of Experts on the Application of Conventions and Recommendations) that the right to strike should be part of Convention 87 on Freedom of Association. The recent decisions of the German Federal Labour Court (the BAG, in German) that third parties affected by a strike are not entitled to claim for damages, is therefore tremendously important far beyond German borders. Accepting third parties’ compensation claims in Germany would have been a further limitation on the right to strike. German air traffic controllers called for a limited strike at Stuttgart Airport in March 2009 against the airport operator. Flights were reduced during the strike. Several airlines claimed for damages, although they were only indirectly affected, on the basis of violation of property rights and infringement on their established and ongoing business. Furthermore, the claimants argued, air traffic controllers were not authorised to strike because they have a policing function. This became the first case in which the Federal Labour Court had to decide whether third parties who were not involved in collective bargaining could claim damages from the trade union if the strike was unlawful. The court fortunately stated that third parties which have not been part of collective bargaining, but which suffered negative effects of a strike, do not have any claims against the striking union for compensation under common principles of tort law. The court did not decide on the lawfulness of the strike because it had already denied the claim for reasons of tort law. Although the aircraft could not be used for their designated purpose during the strike, this was merely temporary. Thus there was no violation of ownership rights as such. The court stated that neither the airworthiness of the aircraft nor its use were inhibited in a way that prevented it from being used as a means of transport. The claim of infringement of the right to engage in an established and ongoing business was rejected, because the business is only affected to a legally relevant degree if the intervention is connected to the strike call. Therefore there is no interference with the established and ongoing business of an employer who has not been directly involved in the labour dispute. This decision is in accordance with ILO supervisory bodies. The CEACR states that in order to avoid damages to third parties, the authorities could establish a system of minimum services; nevertheless, compensation for a legal strike is not accepted (ILO, 2015a). The question of the secondary effects of industrial action in Germany is nothing new, but in the past, the debate was whether an employer is obliged to pay remuneration to his or her employees when production has stopped due to strike activity in another sector (Berg et al, 2015). This was not the question in the case at hand, where third parties argued that the strike caused economic losses due to interference with their rights of ownership and with engaging in an established and ongoing business, independently of the lawful or unlawful nature of the strike against another employer. The Federal Labour Court rightly stated that there is hardly any strike that does not affect third parties. It is, rather, inherent in the constitutionally protected right to strike that legal interests of third parties might be affected by industrial conflicts (Hensche, 2013). With this decision, the court has taken reality into consideration: as a consequence of economic restructuring and complex interlinkages, different sectors of the economy are much more connected and interlocked than in the past. As a result of sharply decreased transport costs, goods are not necessarily produced close to the buyer. With production often taking place in other countries and being outsourced, manufacturing may now involve long production chains and network structures, and the same is true for services. This has also led to economic interlinkages between companies from different sectors. The ILO reports that nearly one third of the employees in the European Union work in companies which are part of global supply chains (ILO, 2015b). 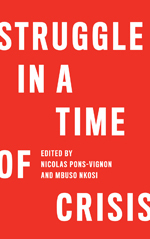 The degree to which third parties are affected by strikes depends to a large extent on management strategies such as outsourcing or just-in-time-production. The transport sector provides an example of this, and it is not surprising that aviation companies made the damage claims in the current case. Similar demands were made earlier by German employers in other transport sectors: during the train drivers’ strike in 2003, concerning losses in railway transport (Labour Court Chemnitz 15.10.2003 – 7 Ga 26/07: Arbeit und Recht 2007, p. 393), and by a shipping company when it tried, unsuccessfully, to have a strike prohibited by interim injunction in 2013 (Hauer, 2014). The present decision is therefore of fundamental importance because the Federal Labour Court pointed out that even high economic losses as an indirect result of a strike could not lead to liability based upon the law of torts. The general law of torts does not aim at the protection of assets. Entitlements to compensation and defensive claims may only be based on direct interference with operations (Para. 37 of the decision; compare as well BGH 21/04/1998 – VI ZR 196/97; 29/01/1985 – VI ZR 130/83; 08/06/1978 - VI ZR 50/75, NJW 1976, 1741; as well BAG 22/09/2009 – 1 AZR 972/08; 20/01/2009 – 1 AZR 515/08; 21/06/1988 – 1 AZR 653/86). The Senate of the Federal Labour Court stated that interference in the case of a restriction or disturbance of use does not, in general, occur ‘at company level’, since other legal entities could also be exposed to a similar disadvantage, with transport routes not being used exclusively by the claimant. The damage caused by interference with the right to engage in an established and ongoing business would, at any rate, have to go beyond an annoyance or disturbance which is normal in society. Of great importance is the court’s ruling that the framework of public law for aviation companies does not create a basis for a claim of interference with a claimant’s established and ongoing business. Similarly to navigation on inland waterways (Labour Court Wesel 23/08/2013, 6 Ga 22/13), airlines do not have a right of ownership over the use of air space arising from air traffic control’s allocation of slots (para 31 of the decision). Limitations on the right to strike as essential services therefore were rejected; the legal reasoning is the same as in other areas . Neither the motives nor the aims of the trade union engaging in industrial action may be categorised as relevant distinguishing characteristics (Hensche, 2013). The German Constitutional Court had already stated some time ago that both parties engaged in collective bargaining are protected against any state interference, and they may resort to measures that have quite an impact on the other side and on the public. The constitutional protection of Article 9(3) of the German Constitution encompasses both direct and indirect effects of industrial action. Economic losses on the employer’s side may not lead to restrictions on the fundamental right guaranteed by Article 9(3). This would also be the case if a strike was unlawful and therefore not protected by Article 9(3). BAG, judgement dated 25/8/2015 – 1 AZR 754/13 and 1 AZR 875/13 as well as of 26/07/2016 – 1 AZR 160/14. Contrary to voices in literature: see for example Scherer, 2000: 36 ff. and 106 ff., with further references. BVerfG 4.7.1995 – 1 BvF 2/86, as well as (among others) BVerfGE 92, 365, 394; and already BVerfG 2.3.1993 – 1 BvR 1213/85, BVerfGE 88, 103, 115. Reingard Zimmer is a Professor of Labour Law at Berlin School of Economics and Law, she specialises in collective labour law (German, European and International) and issues around the enforcement of ILO-standards. Hauer, M. (2014) Commentary on Labour Court Wesel 23.08.2013, 6 Ga 22/13 in: jurisPR-ArbR 7/2014, commentary no. 5. Hensche, D. (2013) in Däubler, W. (ed) Arbeitskampfrecht (commentary), Nomos, Baden-Baden. ILO (2015a) ‘Application of International Labour Standards 2015: Report of the Committee of Experts on the Application of Conventions and Recommendations,’ International Labour Conference, 104th Session. ILO (2015b) World employment and social outlook – Trends, ILO, Geneva. Scherer, I. (2000) Streikrecht in den Arbeitsbereichen der Daseinsvorsorge, Duncker and Humblot, Berlin.